The second goal in our Mission is to facilitate discussion and fund research within the medical community, and to bring awareness and education to the public , with the hope of developing treatments for people with FOXG1. Thanks to the fundraising efforts of our FOXG1 families, in March of 2015, we secured the funds required to develop a FOXG1 mouse model. This mouse has been completed, and, as of January, 2017, two breeding pairs have been produced and the development of a colony has begun. This is the first critical step in helping us better understand FOXG1. As this exciting venture continues to unfold, we will be updating families with research plans and next steps. Our most sincere thanks to the FOXG1 families in helping us get to this exciting point. Let the research begin! IFF is proud to partner with the Rare Disease Clinical Research Network. RDCRN was created to facilitate collaboration among experts in many different types of rare diseases. 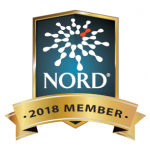 Their goal is to contribute to the research and treatment of rare diseases by working together to identify biomarkers for disease risk, disease severity and activity, and clinical outcome, while also encouraging development of new approaches to diagnosis, prevention, and treatment. Our warmest welcomes Dr. Alessandra Renieri, M.D. 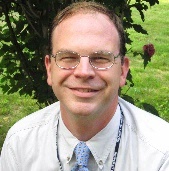 Ph.D., University of Siena, Italy, Dr. Jeffrey Neul, MD, Ph.D. Director, Vanderbilt Kennedy Center, Professor of Pediatrics, Vanderbilt University Medical Center, and Dr. Alex Paciorkowski M.D., FACMG, FAAP, University of Rochester Medical Center. They have agreed to work with us in hopes of finding treatments for FOXG1. All three doctors are currently seeing FOXG1 patients (some of which are on our group). In October of 2014 the National Institute of Health awarded a $29 million five-year grant to continue the Rett Syndrome Natural History Study. FOXG1 Syndrome, MECP2 Duplication Syndrome and CDKL5 Syndrome, sister syndromes to Rett, were added into this groundbreaking study. 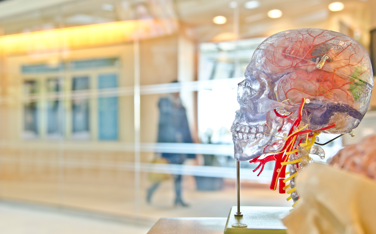 The goals of this grant are to understand the core clinical features of each disorder, identify if there are any treatments that can improve quality of life, and to understand the link between symptoms and brain imaging/eeg variations. If you would like to schedule an appointment, here is the site listing. The Translational Neuroscience Center (TNC), at Boston Children’s Hospital (BCH) plans to build a library of FOXG1 neurons in order to evaluate similarities and differences between these neurons. These neurons will be developed from the skin, tissue and blood samples provided by FOXG1 patients. Technology now allows researchers to take these samples and “push” them into stem cells that can then be turned into neurons. This will allow BCH to identify molecular targets and pathways that might respond to FDA-approved drugs to help develop treatments for FOXG1 patients. From start to finish, this process can take upwards of 5 years, however, using this new method of re-purposing FDA-approved medicines, will provide a way to fast-track therapies to clinical trials. This new drug re-purposing method has already been successfully employed at Boston Children’s after a new therapy was determined for the treatment of ALS. This treatment was able to bypass certain time-consuming steps in drug testing, and could be developed into a clinical trial. This concept of ‘bench to bedside” forms the underpinnings of the Translational Neuroscience Center, which is to bring treatments to patients faster than ever before.